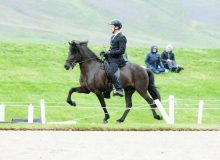 Katla is sired by Kiljan frá Steinnesi and Gréta frá Feti. In Katla’s bloodline meet Orri frá Þúfu, Kolfinnur frá Kjarnholtum, Gustur frá Hóli and Baldur frá Bakka, to mention a few. Katla got 1. price when she was 4 years old. 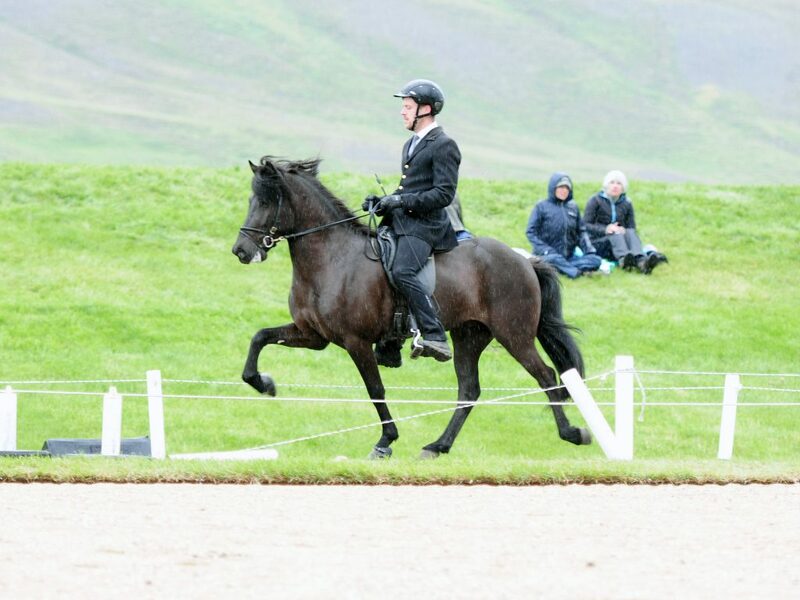 A year later she qualified for Landsmót 2016 at Hólar when she was 5 years old and there she improved and ended up in 4. place in the class of 5 year old mares with a total of 8.39. 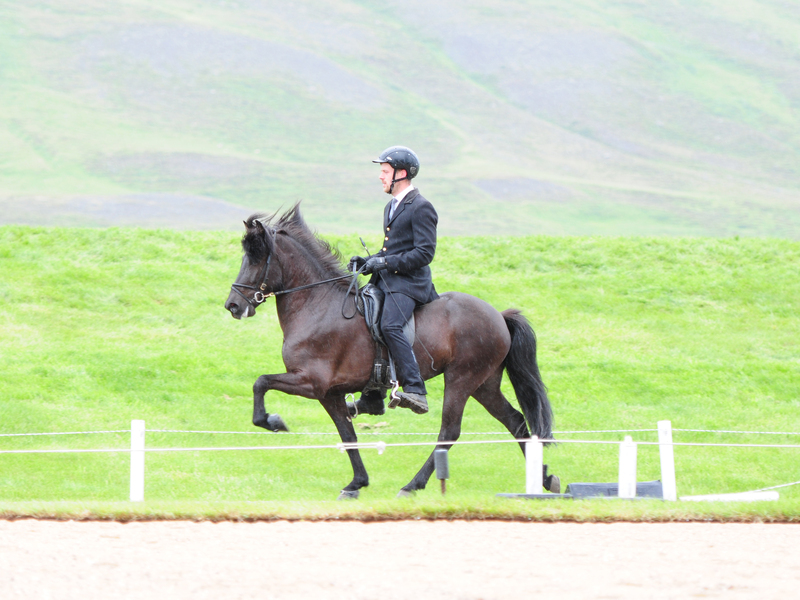 Katla is a powerful 5-gaited mare, well built with 9 for neck, withers and shoulders. 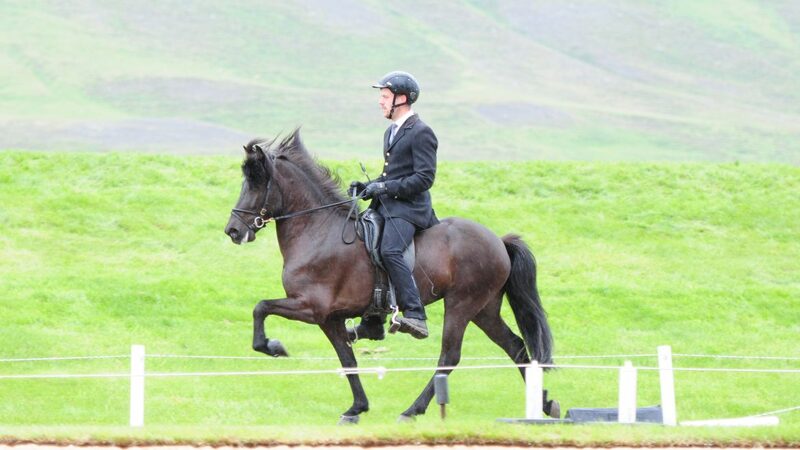 She’s really even for gaits, with 8.5 for tölt and pace and 9 for spirit.